I’ve been starting my Mondays off at Matchmaker Logistics for the past seventeen years – that’s eight hundred and eighty-seven Mondays for those keeping score at home. I’m lucky to spend my Monday mornings doing something I love. But not everyone is as lucky as I’ve been. According to the Bureau of Labor Statistics, the average American switches jobs every 4.2 years. And while the prospect of the grass being greener in another position is often tempting, the job search itself can be exhausting. In the age of the Internet, job searches aren’t limited to the locals – prospective employees can apply from all over the world. Sometimes it can seem that the playing field is as hard as it’s ever been – with thousands of résumés coming in every day for even entry-level positions, some have taken to finding over-the-top ways of catching a recruiter’s eye. These range from the reasonable (eye-catching résumés) to the clever (showing a prospective marketing employer your marketing skills) to the…more theatrical. (We’ll get there.) Many people seeking employment in advertising take getting their resumes noticed as a personal challenge. After all, who better to hire for your advertising gig than someone who caught your eye? 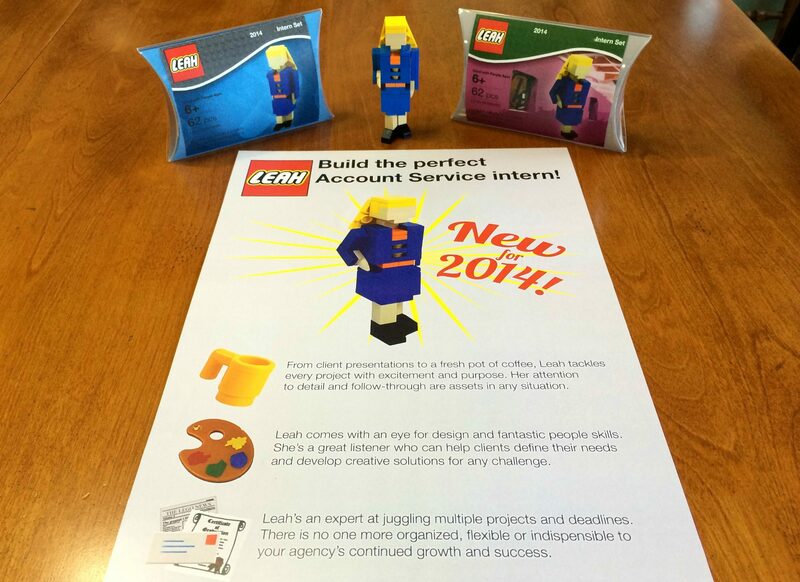 Take Leah Bowman, for instance, who sent her résumé along with little packs of Legos, inviting hiring managers to ‘build their perfect’ employee. Folks have even used YouTube ads, or billboards for the lower-tech, to get themselves noticed. However, relying simply on the power of attention can backfire. Forbes.com cautions potential interviewees against just being shocking. They suggest positive and negative ways to attract attention to yourself, once you get your foot in the door. For example, jumping up to help fix a jammed copier, shows you are helpful and proactive in the face of challenges, whereas wearing a fluorescent-colored suit simply shows you that you are…bad at picking outfits. For the perfect combination of attention-grabbing, low-tech, and clever, we turn to David Casarez, a homeless web developer in Mountain View, California. He’d been living on a park bench since his van was repossessed, and was nearing his last shot. 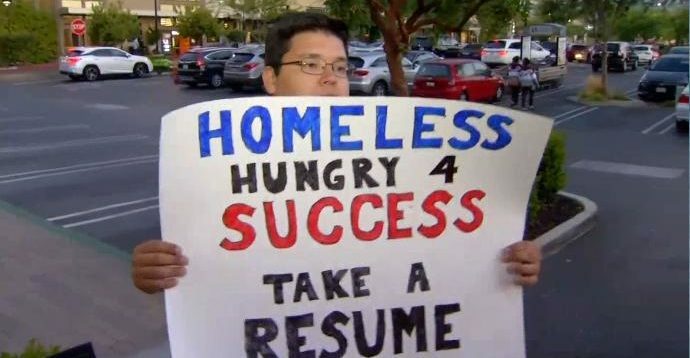 One morning he got up, dressed in a suit and tie, took a stack of printed résumés from his things, and stood on a street corner with a handwritten sign – HOMELESS – HUNGRY 4 SUCCESS – Please take a résumé. People snapped pics and posted online, and David found himself in touch with dozens of companies. A month later, David accepted a position as a software engineer. I wish him many, many Mondays at his new place of employment.